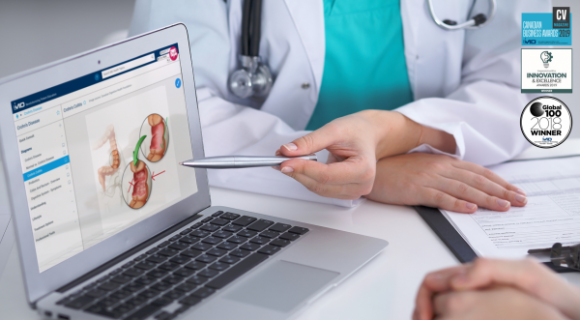 Thousands of professionally-vetted images, documents, and videos from Canada’s leading healthcare organizations presented on a platform designed to make the time you spend with your patients as efficient and effective as possible. Statistics show that patients remember only 20% of what is discussed in an exam room and only half of that correctly! 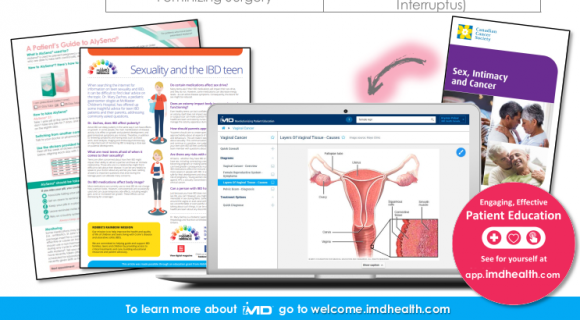 iMD makes complex medical topics easy to understand using high-quality visuals, patient-friendly resources, and secure email functionality that allows patients to review and learn more post-visit. 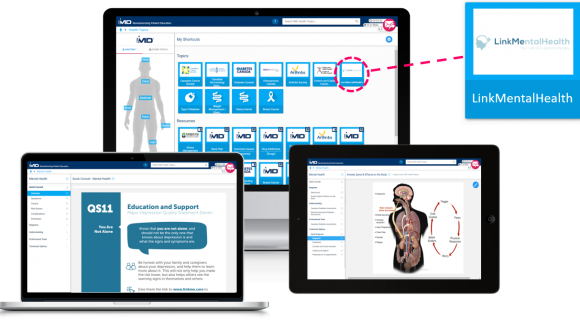 Upload your own materials to create truly customized patient experiences. 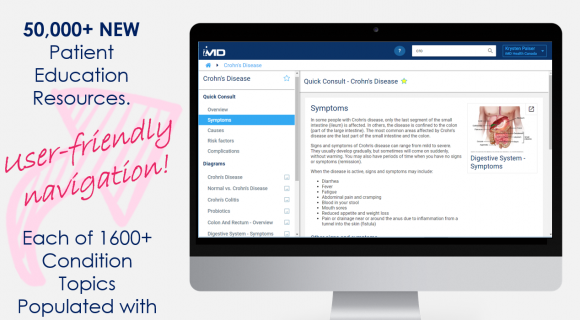 We also integrate with a variety of 3rd-party services to provide the most up-to-date information and reduce administration time. 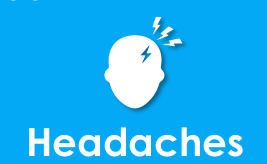 Our cloud based web application is easy to use, takes 2 minutes to create your account! 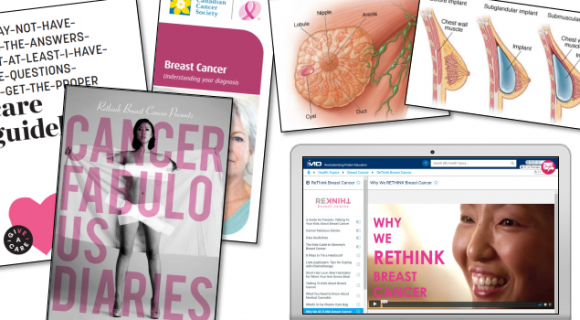 Make patient education and engagement a key part of your consultations. Put your information in the hands of those that need it most. 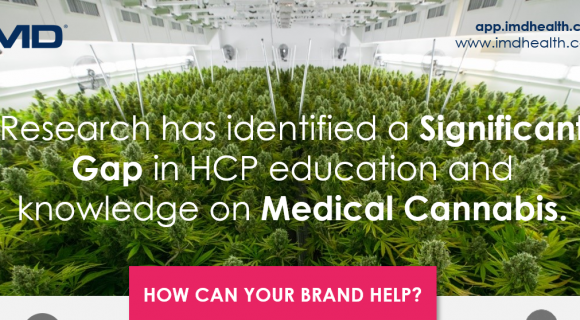 Your brand and information; available even when you cannot be. 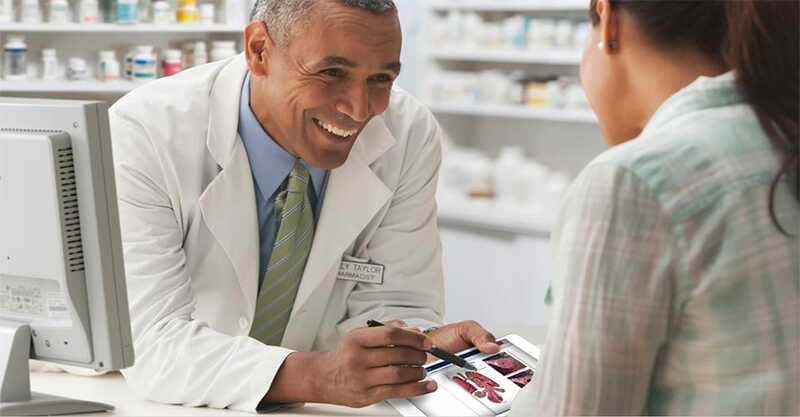 Differentiate your pharmacy experience and improve patient satisfaction. 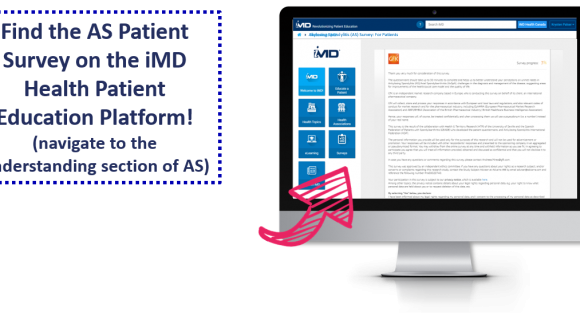 iMD has created a versatile and easy-to-use terminal that provides Me with reliable information I can use to counsel patients…I am always up to date, all on one platform. 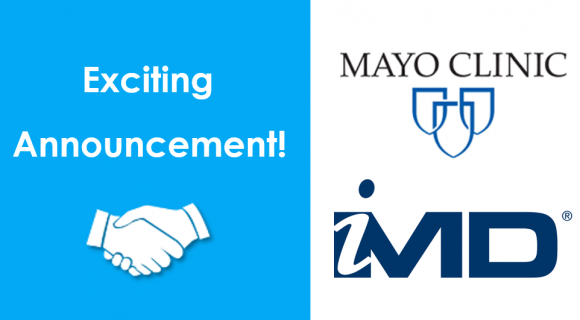 We really appreciate the iMD system. Patients love it as well. Lots of information and I see it is constantly being updated as well. 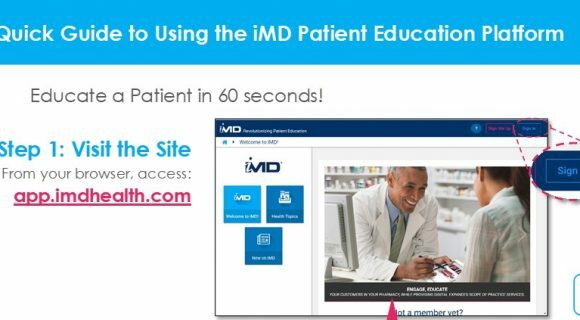 iMD: I use it everyday, with every patient. This is the coolest thing I have ever seen in the industry. I am very grateful for having the touch screens available to educate my patients.